We have curated the supplements, vitamins, and essential oils we offer in our office, as well as many other high quality products for the healing needs of you and your family. Please contact our New York chiropractic office for more information. Welcome to the World of Essential Oils! 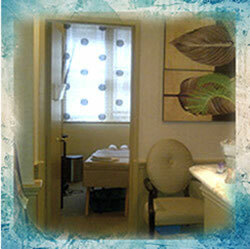 Dr. Erickson has used essential oils to enhance the healing potential of sessions in our offices for the past 25 years. Using essential oils at home is a wonderful addition to self-care. It brings an element of healing and beauty into your life. We love Young Living Essential Oils. You need to becoming a member (free) to set up an account before ordering oils. Unless you want to order products monthly, most people will just want to just be a retail customer. They will ask for a sponsor number and it is 508220. Then you will have your own account. Please feel free to contact us if you would like us to assist you in ordering oils. 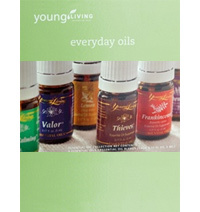 To open an account go to: https://www.youngliving.com/vo/#/signup/start. To order by phone call: 1-800-371-3515. The products on the website are organized into categories including single essential oils such as peppermint, blends – like Peace and Calming, and personal products including body lotion, deodorant, toothpaste, and vitamins. Please email or call us if you need help setting up an account or choosing oils. Please use the following credentials to log into the Virtual Dispensary and place your order. Username: KE1234 / Zipcode: 10024 We’ve partnered with Emerson Ecologics to offer you a vast scope of excellent health-care products at affordable prices. You’ll find the supplements you’re used to getting at our office as well as many others that would be helpful for you and your family. Search through categories of products or search products through the manufacturer. Some of our favorites are Heel/BCI, Metagenics, Bioclinic Naturals and DaVinci. Check out our favorite mind-body tool: Wild Divine, a meditation and biofeedback software for Mac or PC. See how ancient wisdom meets modern technology right on your own home or office computer. Many of the supplements Dr. Erickson uses are provided by DaVinci Laboratories. The formulas in DaVinci vitamins take into consideration the complex relationships that exist among nutrients and incorporate the latest advancements in nutrition therapies. We’ve partnered with Metagenics to offer you a vast scope of high-quality supplements at affordable prices. You can order things you’re used to getting at our office as well as many others that would be helpful for you and your family. Search products by category or name. Some of our favorites are OmegaGenics EPA-DHA, PhytoMulti, Mag Glycinate, Glycogenics, Sinuplex, Nazanol, CalApatite Bone Builder Forte, Venaplex, Kaprex, Inflavanoid, and UltraMeal Protein Powder. You will receive a 20% discount + FREE Shipping on your first order. By selecting “Order Frequency” at checkout you will receive a 10% discount + FREE Shipping on all recurring orders.